How Did the Skeleton Get to the Museum? 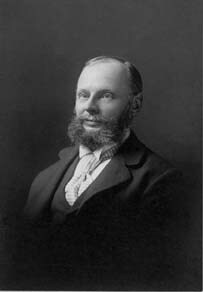 Fortune as he may have looked in life. Painted by William Westwood, a medical illustrator, based on Fortune's skeleton. When Dr. Preserved Porter died, Fortune's skeleton was inherited by his son, Dr. Jesse Porter. The skeleton remained in the Porter family into the twentieth century, as more generations of Porters became physicians and learned from the bones. The story of Dr. Porter preparing the skeleton for medical use had become a legend in Waterbury, but Fortunes name had been forgotten. Dr. McGlannan referred to him as Larry, and an apocryphal account, published in The Town and City of Waterbury in 1896, tells of a slave named Larry who slipped on a rock and drowned in the Naugatuck River, whereupon the economical Dr. Porter prepared the skeleton for use in his school of medicine. This heavily prejudiced tale took on an air of authority for much of the 20th century. At the Mattatuck Museum, Fortunes skeleton was placed on exhibit beginning in the 1940s. When the museum first opened in 1912, its collections consisted largely of ethnological and archaeological artifacts, as well as objects and manuscripts relating to the history of Waterbury. The exhibits also included a small bottle containing the ear bones of Rev. John Southmayd, an eighteenth-century Waterbury minister, whose skull had been disinterred for ethnological study in the 1890s. By the 1960s, the museums collections had been refocused to concentrate on Waterburys history and on the art and artists of Connecticut. Fortunes skeleton was displayed as Waterburys First Medical Museum and as a tangible reminder that slavery existed in the North as well as the South. While Larry was one of the museums most popular exhibits, the skeleton was removed from public display out of respect for his remains and the sensibilities of the community in 1970. Portrait of Dr. 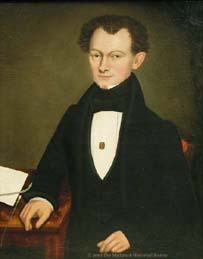 Preserved Porter's son by Erastus Salisbury Field. Jesse Porter was 21 when Fortune died. He inherited Fortune's skeleton from Preserved. Collection of the Mattatuck Museum. Sally Porter Law McGlannan, who gave Fortune's skeleton to the Mattatuck Museum, graduated from Johns Hopkins Medical School in 1907. 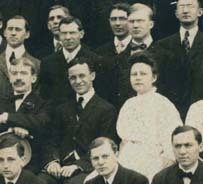 She is shown here with other members of her class. Her husband, Alexius McGlannan, was also a doctor. Collection of the Mattatuck Museum.